Boyer's reminder came just minutes before the accident. 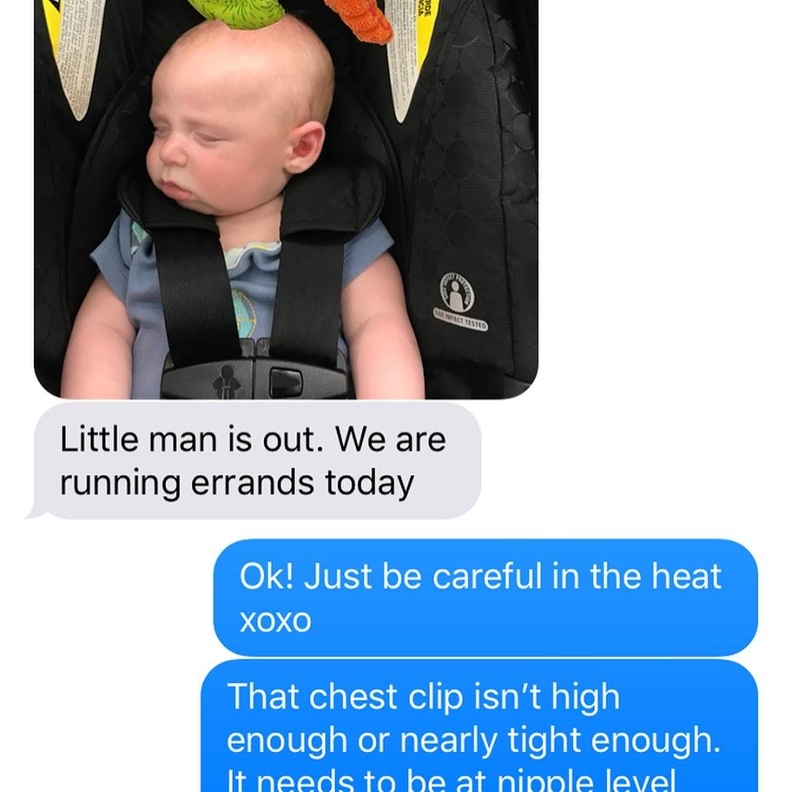 On her first day back at work after maternity leave, nurse Rebecca Tafaro Boyer asked her husband to send hourly updates on their son, William. The request may have saved his life. That afternoon, she received a picture of William sleeping in his car seat while he and his dad, David, were out running errands. “That chest clip isn't high enough or nearly tight enough,” Boyer replied. Only minutes later, Boyer's phone rang. David and William had been in a car wreck; another driver had pulled into oncoming traffic to make a left turn, but there wasn't time to stop. The car was totaled, but William didn't even notice. “My precious little bundle of joy was so well restrained in his car seat, THAT HE DIDN'T EVEN WAKE UP,” Boyer wrote in a viral Facebook post that has now been shared 37,000 times. Boyer, a nurse at St. Jude Children's Research Hospital in Memphis, Tenn., wrote on the importance of using a rear-facing car seat for babies and toddlers, throwing away a car seat after a moderate or severe crash and how to properly dispose of a defective car seat so it couldn't be re-used or resold. According to the National Highway Traffic Safety Administration, children's car seats aren't used correctly 59% of the time. In 2015, car seats saved the lives of nearly 250 kids under age 5.